The auction specialist said overall auction activity proved extremely strong towards the end of Q3 2016 and reported consistent 100% conversion rates across its four sites. Total volumes sold in September were up 21% year on year. The recent pre-plate change period in August contributed to this growth, with volumes growing by 27%, year-on-year, due to increasing volumes of part-exchanges and fleet vehicles coming to auction. In a typical three-year cycle, Aston Barclay is now seeing the resulting volume from two very strong years for new car registrations. 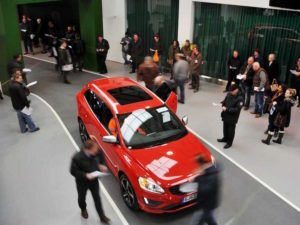 This has been met with extremely strong demand following a dip in auction activity in July thanks to uncertainty surrounding the vote to the leave the European Union and the predicted summer slowdown in the used market. Growing registrations in the last three years has resulted in de-fleeted vehicles with 60,000 miles on the clock coming back into a buyers’ market, with plentiful stock on offer. This looks set to continue with new car registrations in August totalling 81,640, a 3.3% increase over August 2015 figures, as OEMs ran pre-plate change incentives to sell new vehicles on PCP finance packages. September’s new car registrations also reflected this push, with registrations totalling 469,696, a 1.6% increase over 2015 and the highest total for September in 16 years. “The impact of the Brexit vote is completely unknown at this time and until the used market fluctuates, we expect the fleet and dealer markets to remain extremely strong, especially with the latter as they look to replenish stock following a busy month,” said David Scarborough, commercial director at Aston Barclay. “However, the strength and the professionalism of the used car industry coupled with the healthy balance of supply and demand, should help prices remain strong, with the overall market remaining buoyant. In 2015, Aston Barclay saw a smaller than normal let-up in vendor volume and buyer appetite on the run up to Christmas and we predict a similar scenario in 2016, entering 2017 in a strong market,” he added.